Medical students at Cooper Medical School of Rowan University are helping to improve the lives of expectant mothers in Camden through an innovative program designed to provide one-on-one support for pregnant women and give their babies the best possible start in life. 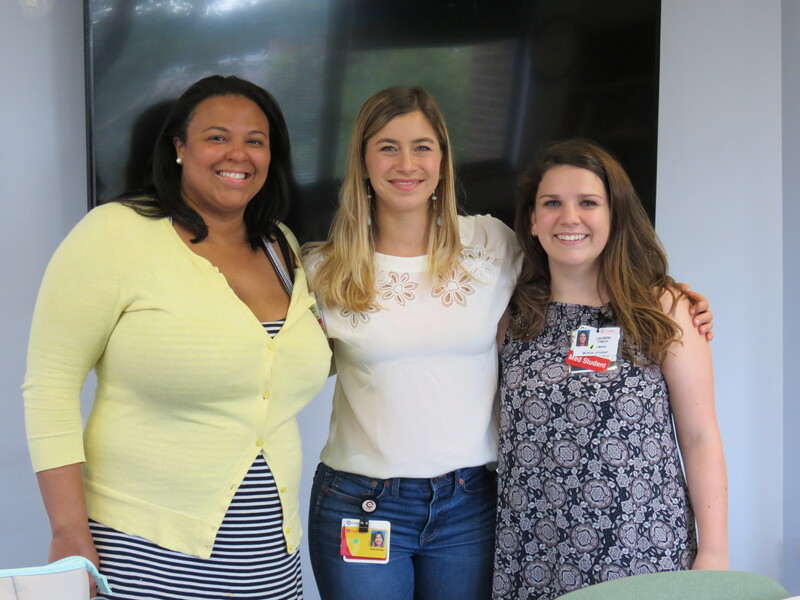 Cooper Medical School of Rowan University M2 students Adamma Spearman, Olivia Nicolais and Lauren Finch recently helped unveil two new maternity gliders at the Jaffe Family Women’s Care Center and the Cooper Pediatric Practice thanks to the kind support of Townsend Press. The Camden Prenatal Collaborative (CPC) Health Coaching Program pairs medical students with expectant mothers during pregnancy to provide social and emotional support, education and assistance. The relationship continues through the baby’s delivery and first few months of life. The goal of CPC Health Coaching Program is to encourage pregnant women to make choices that are best for their health and the health of their newborn babies. “We provide a range of assistance, from arranging transportation to appointments, sending reminders about testing, providing nutrition education, promoting breast feeding and giving emotional support -- both in person and by phone,” explains Adamma Spearman, a second year medical student at CMSRU. One important and unique focus of the CPC Health Coaching Program is newborn literacy. 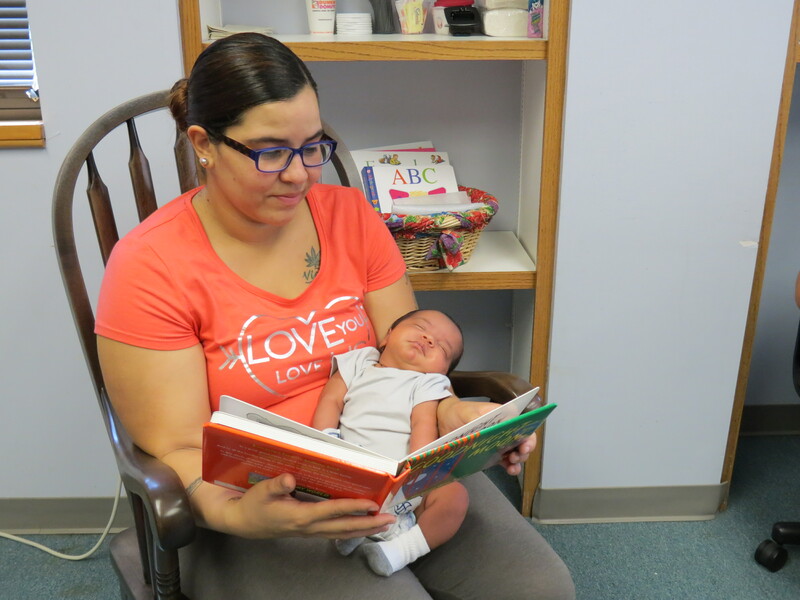 As part of the CPC Health Coaching Program, every expectant mom receives a new book from their health coach at each prenatal visit and are encouraged to read to their babies, even before delivery. Townsend Press, a book publisher based in West Berlin, N.J., has provided generous, ongoing support to the CPC for the past two years, including the collection of books for distribution to the expectant mothers. Townsend Press funding also supported the purchase of two new maternity gliders that were recently placed in the clinical waiting rooms for patient use. The CPC Health Coaching Program has enrolled more than 50 patients to date. The expectant and new mothers benefit from the additional guidance and attention they receive from the medical students, but the students benefit as well.